Christina Vicari is an Attorney with the Heskin Martinez Law Group. Christina is an experienced trial lawyer and former prosecutor with a strong background in family law. Most recently, she served as Assistant State Attorney for Seminole County’s 18th Judicial Circuit. Prior to that position, she served as Guardian ad Litem for Pinellas County’s Sixth Judicial Circuit. With her experience at the State Attorney’s office she is particularly skilled at representing individuals in Domestic Violence Injunction proceedings. Thus, while she is still a young lawyer, her extensive trial experience and family law background gives her clients the benefit of an experienced advocate in the courtroom. Christina received her undergraduate degree in Business Administration from The University of Central Florida. While attending UCF for four years, full time she was a part time family law paralegal. 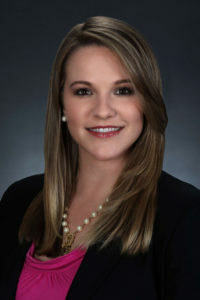 She graduated from the Stetson University College of Law with a Certificate of Concentration in Advocacy and was admitted to the Florida Bar in 2015. Born and raised Orlando, Christina is a proud supporter of the UCF Knights.